Youth is regarded as a transitional phase of man’s life. In future life whether one will grow up as a burden on society or a responsible citizen, depending upon the environment provided at this stage of life. Giving them a congenial atmosphere and positive direction helps them to become healthy and responsible members of the society. It is, therefore, very necessary to provide positive stimulation and congenial environment to this section of population. Failing to do these results in the bleak future of a nation. The country’s youths who are the future citizens, are naturally concerned with state of affairs in their country. 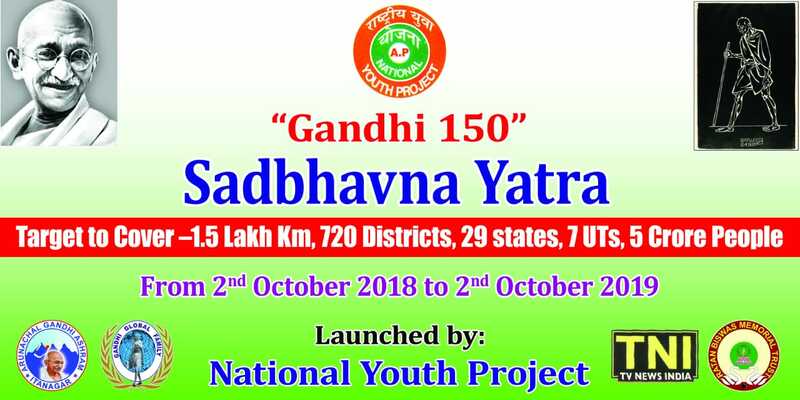 Keeping the above in view, young people came together to form National Youth Project-AP organisation for constructive social work and for "Nation Building". The main problem before our nation today is the danger to its unity. We are a nation of diversities based on religion, region, language, culture, etc. When we look at the world scenario we find that many nations have split into pieces due to diversities much less as compared to us. In the circumstances it is very necessary that if we intend keeping India as a one nation we must imbibe the spirit of oneness in all minds of our citizens and wake them to the necessity of rising above the barriers. Needless to say, it can best done at the adolescent age, which is an impressionable period of life. Hence the NYP-AP. To create a world where all young people are valued and thrive. To provide catalytic leadership, breakthrough knowledge, and innovative resources to advance the health of children, youth, families, and communities. All YOUTHS need and deserve the range of “developmental nutrients” identified in the framework of Developmental Assets. “All YOUTHS” includes youths of all races, ethnicities, cultures, genders, religions, economic backgrounds, sexual orientations, gender identities, and abilities. Significant community and societal change is needed to ensure the equitable spread of Developmental Assets; the five action strategies we have identified can bring about this change. All communities have the talent, wisdom, and expertise to create thriving communities. Developmental Assets have many sources, including adult influence, peer influence, families, neighborhoods, congregations, schools, and youth organizations. These resources, individually and in combination, can be powerfully mobilized at the local, community level. The community and social change needed to reach our vision requires major transformation of how we see, know, and relate with YOUTHS. YOUTHS are particularly powerful agents of change and should be positioned as leaders in transforming community and society. The prime actors in this transformation are all people: children, adolescents, and adults. Search Institute’s role is to provide knowledge and resources to help them create an environment that supports young people. We recognize, value, and celebrate the gifts of all people; seek to involve young people in our work; appreciate diversity; and cultivate positive relationships within National Youth Project and with external audiences, constituencies, and customers. 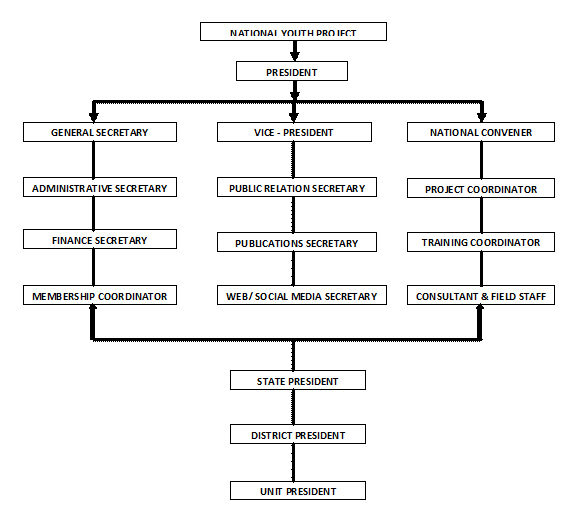 We seek to be a family-friendly organization and strive toward an infrastructure that supports our stated values. We work with and learn from others involved in asset building and developmentally attentive communities. We authentically share with the field the roles of experts, leaders, and learners, and seek collaboration with internal and external groups. We intentionally seek to engage collaborators from across political, ideological, religious, cultural, and other differences, believing that active engagement with others—even when we do not agree on important issues—is critical for creating a sense of the common good and for working for positive community and social change. We seek to do what is right and treat others with honesty, respect, and dignity. We make clear when we know something and when we believe something—and communicate both. We seek to be open to new approaches to learning and sharing what we learn. We use common sense, solid theory, and validated constructs as means of learning, and we celebrate the creative tension between research and application. We strive to make thoughtful, timely decisions, involving the right people and sharing the results of decisions in a timely manner. We can agree to disagree, step aside, and support the decision. We seek to learn from our mistakes and are not afraid to make them. We share learning internally and externally and strive to develop user-friendly tools. We unleash creative application of our ideas and research. We stay true to our mission and recognize that we need resources to achieve the mission. We seek to balance mission with good decisions.